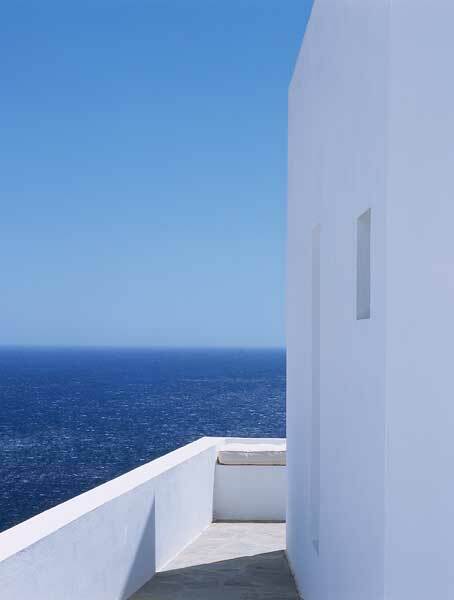 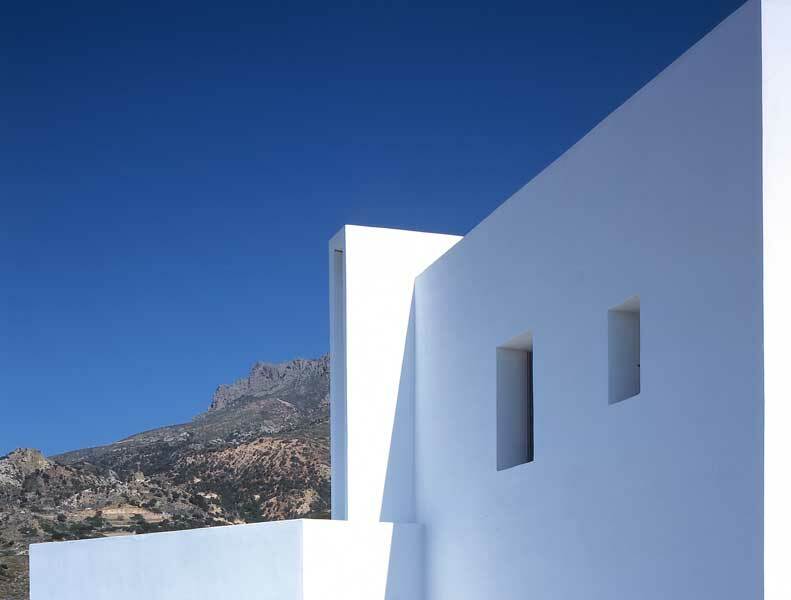 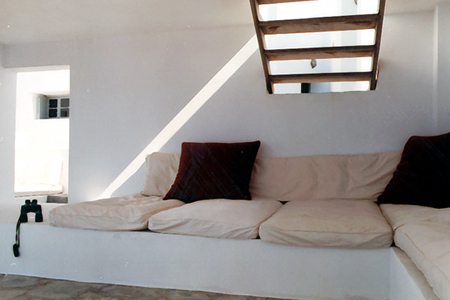 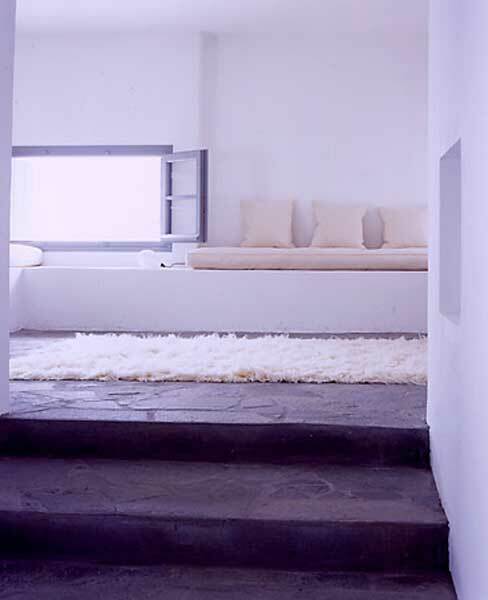 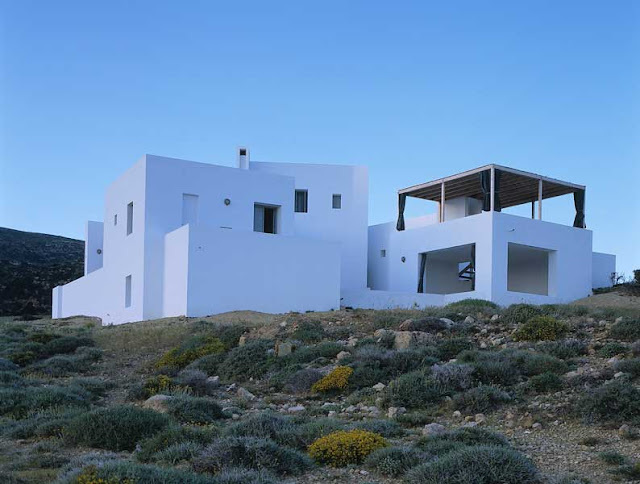 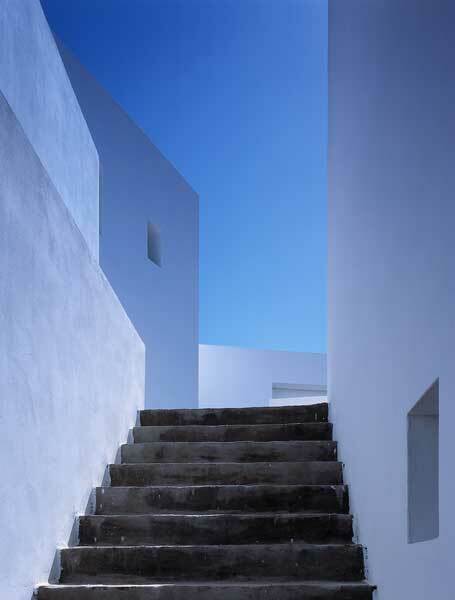 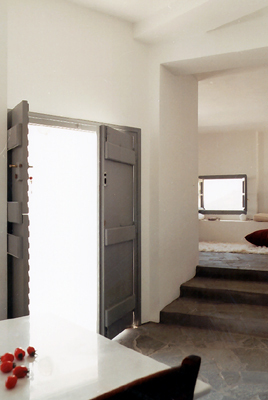 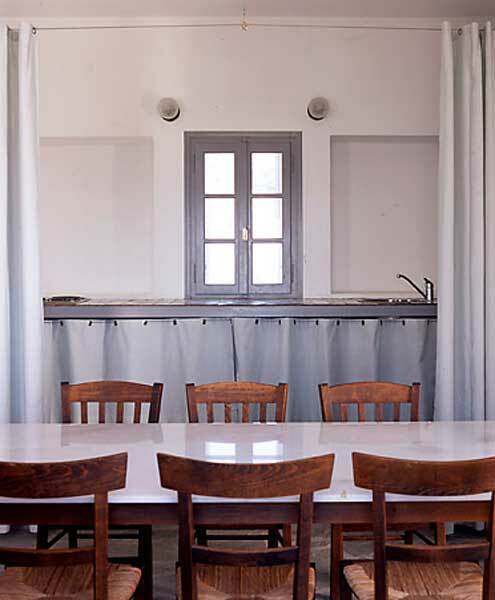 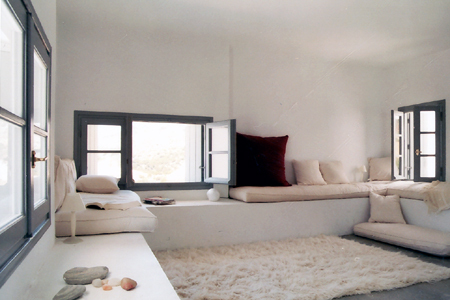 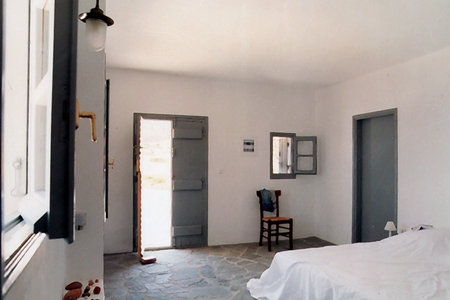 This vacation house, located in the island of Milos, Greece, is a combination of several small whitewashed cubic volumes, grouped like a small village around a central court. 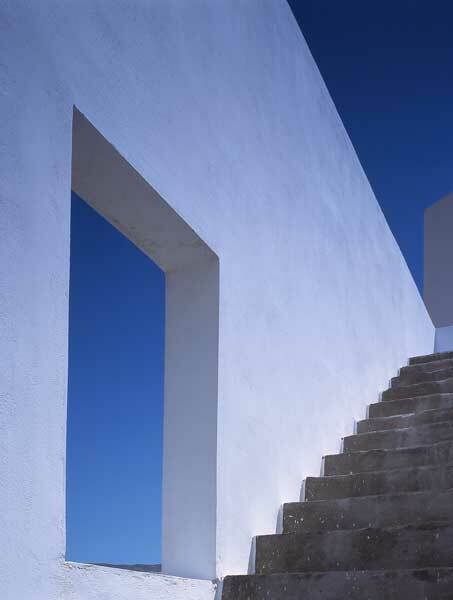 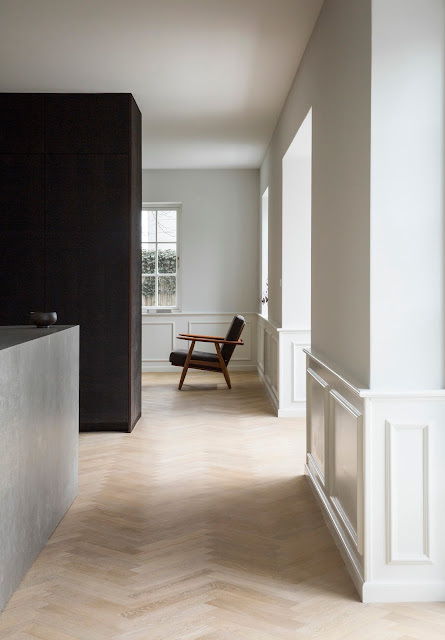 [BP] Architectures reinterpreted a traditional layout, with a modernist style, that In responds to the beauty and pristine nature of the site. 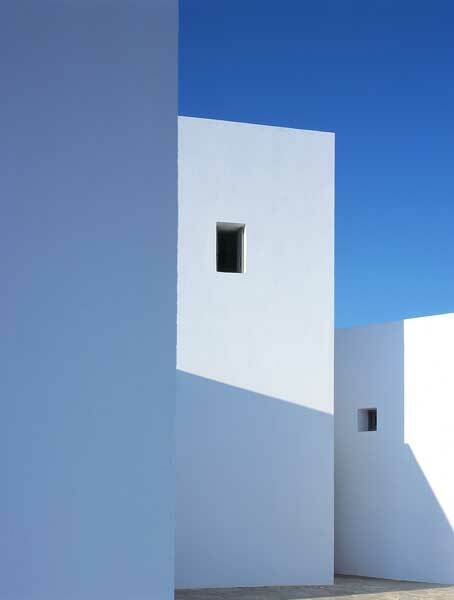 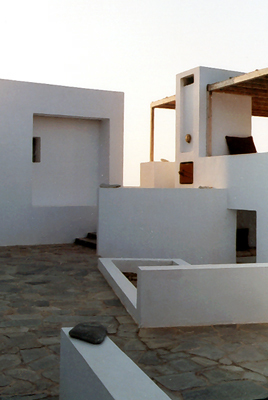 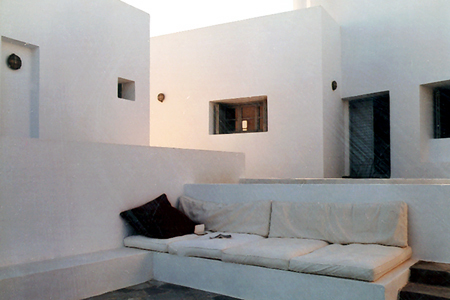 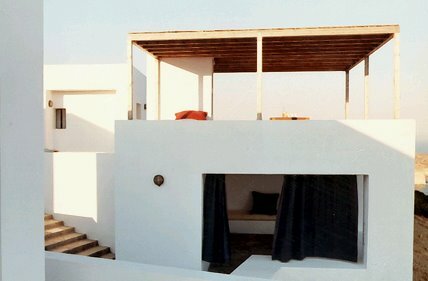 Instead of creating a large volume, this ensemble of several small cubes adapts to its landscape and relates skillfully to regional building traditions without compromising contemporary living.This layout also offers protection from wind, while framing views in all directions to the mediterranean sea. 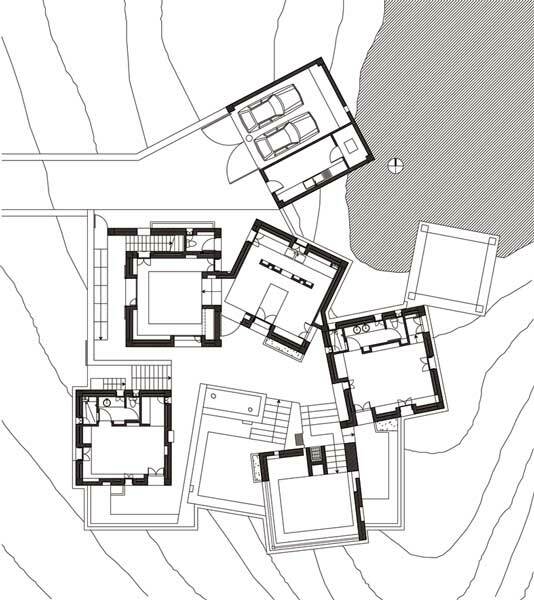 The result is a house of approx. 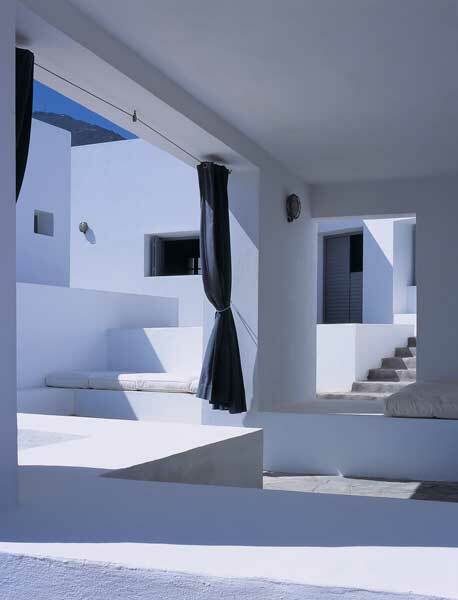 150 sq.m., structured on several levels in closed, semi-open and open spaces - sunny patios and cool shady places, private and public sectors.